Fresh off the heels of Best Boss Battles in Gaming History and Great Levels in Gaming History, we have a new addition to the family. It's Toughest Tasks in Gaming History. Here, we talk about challenges in gaming that we deem as some of the most difficult to complete. If you have achieved any of these, you can walk with your head held up high and your gaming thumbs up. 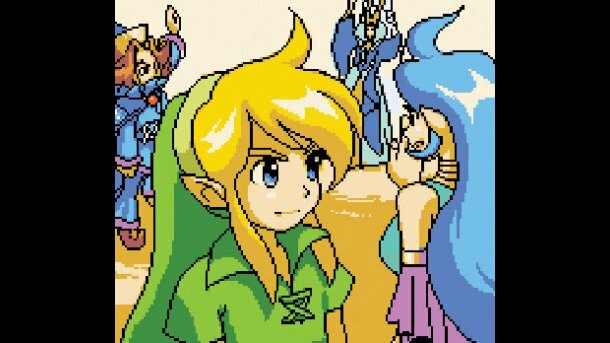 On the first volume of Toughest Tasks in Gaming History, we delve into games like Final Fantasy VII, Super Mario Galaxy 2, and Mega Man 10. 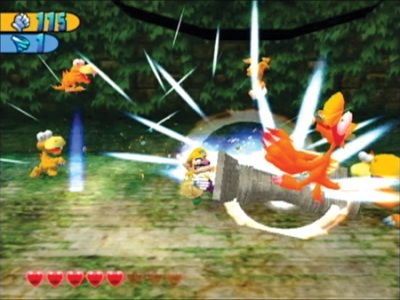 Super Mario Galaxy 2 compared to its predecessor turned the difficulty dial up to 11. The final challenge after collecting all 240 stars (both Power and Green Stars) is the Grandmaster Galaxy, putting players' platforming prowess to the ultimate test. There are two stars to get in the galaxy, and the first one is simple enough-- beat the level. 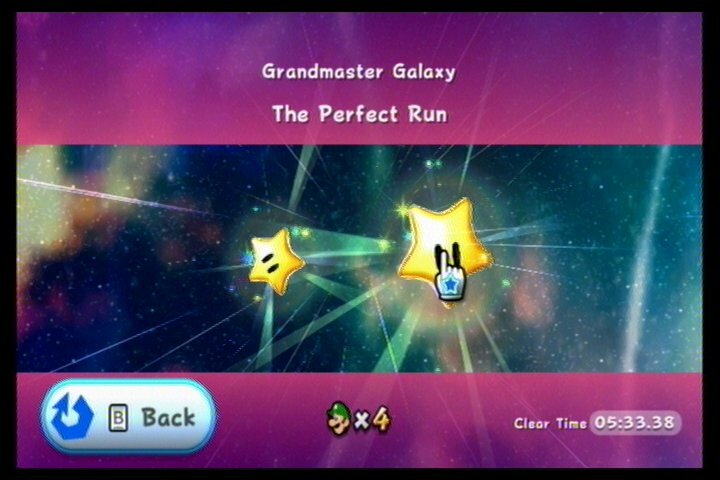 However, it is the final star that poses the real challenge: beat the galaxy without taking damage. The Grandmaster Galaxy is a gauntlet of platforming peril-- lasers, mines, Hammer Bros., Boomerang Bros., and so much more. This player makes it look easy, but let it be known that it is anything but! 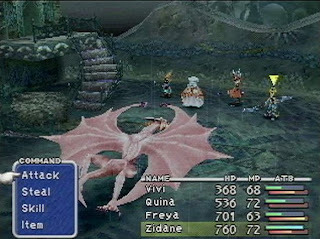 RPGs are known for having some of the toughest bosses in video games, and none in the Final Fantasy series come tougher than the Emerald and Ruby Weapons. Don't be mistaken-- you don't actually fight the Emerald and Ruby Weapons at the same time. Boy, would that be a challenge! No, the Emerald Weapon aimlessly prowls the underwater deep while the Ruby Weapon makes its home in the desert surrounding the Gold Saucer. Who knew that a fun heavenly paradise could be so close to hell? It's best to have the Underwater materia equipped to one of your characters unless you like being rushed with a twenty minute time limit. 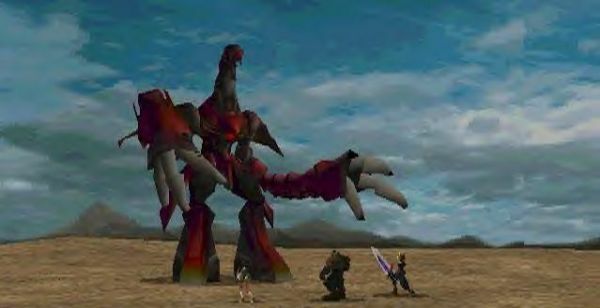 (And by best we mean have the materia, as this boss has one million HP!) The Emerald Weapon's most vicious attack is Aire Tim Storm, which takes off a multiple of 1,111 HP depending on how many materia a party member has. Other attacks include beams, waves, and simply using its whole body to stomp our heroes when its eyes have been removed from the battle. As for the Ruby Weapon, it can flat out banish members from your current party, it comes with high defense, some of the most powerful attacks in the game, and can cast status ailments with its two tentacles protruding from the sands. It will be invulnerable to damage unless a single member of Cloud's party is around, so this puts a player's party at a serious disadvantage. 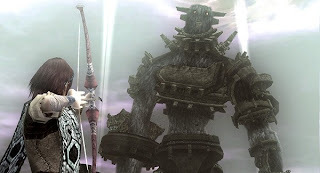 The hard-to-obtain Knights of the Round summon (that's a tough task for another day) is not a good idea to use as the Weapon will counter will a gnarly Ultima attack, unless it is paralyzed beforehand. 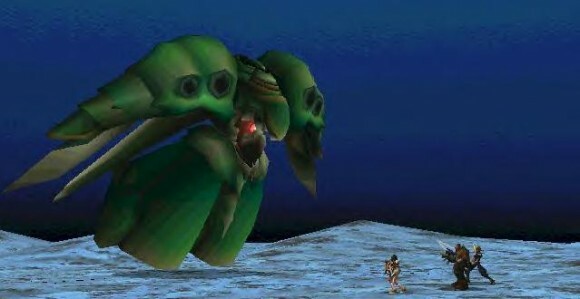 We would rank Ruby Weapon as the toughest boss to tackle in Final Fantasy VII, and all of you PC players getting to experience the game (maybe for the first time, which floors us as old people) can see why so many of us gamers are angry. We were normal people before facing the Ruby Weapon! Nintendo Land is criticized as a casual experience (oh no, the casuals are going to take our games! ), but it really is a game for everyone. By far a task that a casual gamer couldn't hope to complete would be getting all of the stamps within the twelve attractions of Nintendo Land. Most attractions have five stamps (think of them as achievements) to acquire, but some have five stamps to be earned for each mode (e.g. 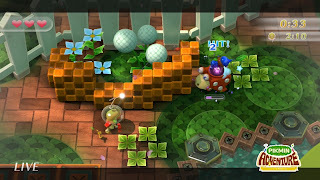 Pikmin Adventure has Challenge mode and Versus mode medals). Without a doubt the most challenging of these medals come from the perfect line of medals. These mean completing an attraction flawlessly. For Captain Falcon's Twister Race it's not colliding with anything-- no walls, no bumpers, no other cars-- nothing. But the most difficult of these stamps comes from one of our favorite solo attractions, Takamaru's Ninja Castle. The highly coveted Unstoppable medal requires players to take down EVERY ninja that appears on the screen in both the normal and extra stages. 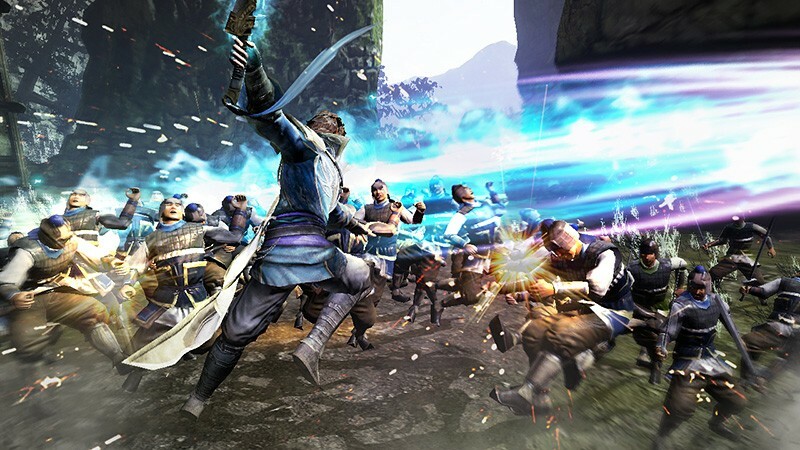 That's hundreds of ninja to hit with your throwing stars without missing any ninja, and some of them just peek in for a quick look so you have to be fast. Nintendo Land may be a game for all, but the task of acquiring every stamp is not for the feint of heart! Sonic Adventure 2 is a fun but incredibly flawed 3D Sonic game that perhaps in retrospect we probably would rate lower playing it today. 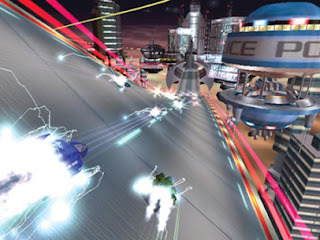 Also in retrospect, we probably wouldn't have the patience to go after the arduous task of getting all 180 medals on every mission in Sonic Adventure 2. That means reaching specific scores, getting certain times, clearing hard mode, and yes, the most painful of all, raising and racing Chao. It is a challenge that the younger us could do without much problem. Now? We'd probably toss the disc into the ocean... after snapping it in two and taking a dump on it. 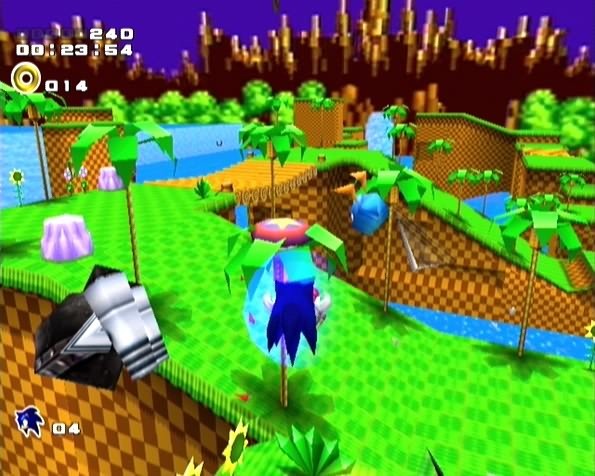 Sure, the reward is great-- a 3D version of Sonic the Hedgehog's first level, the Green Hill Zone, but is it worth all of the pain, all of the glitches, all of the horrid camera angles, and all of the Knuckles raps? The goal of Mr. Perfect is simple to explain but tremendously tough to actually do-- complete Mega Man 10 without taking damage. The only thing that makes this achievement/trophy anything close to possible is the ability to save between levels. 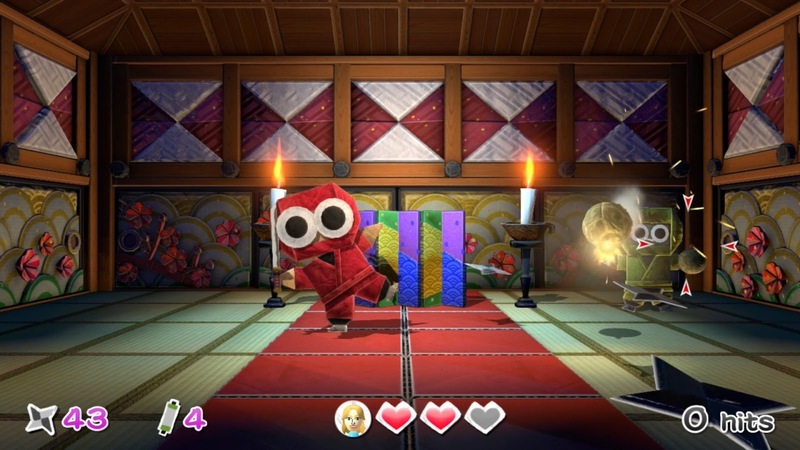 Still, you have to make it through a level without damage, which is easier said than done. You have to have the memory of a robot to make your way through each level unscathed. 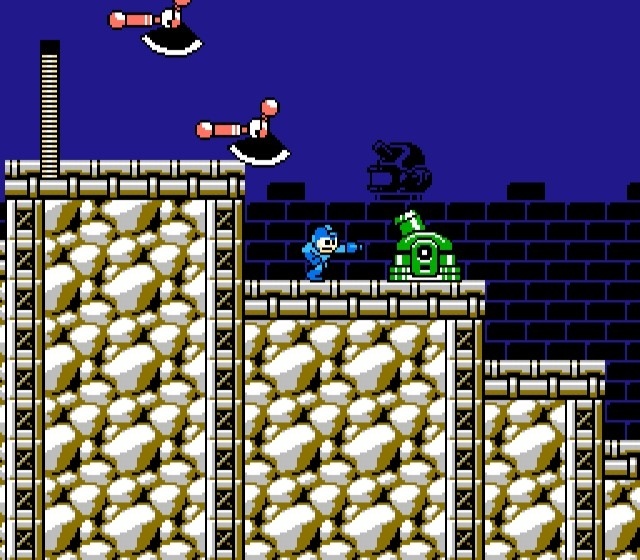 You have to read each Robot Master's movements to an exact science to avoid taking damage, because once you do get hit, you have to begin the level all over again. We actually have a masochist on our staff that completed Mr. Perfect. Many yells were had, a lot of controllers met the floor, and plenty of cheers were exclaimed upon finishing this most epic task. Considering yourself a Mega Man Master if you have this achievement done! Perhaps if you haven't tried some of these tasks, you'll get interested in seeing just how hard these are. If not, well, you can take our word for it! 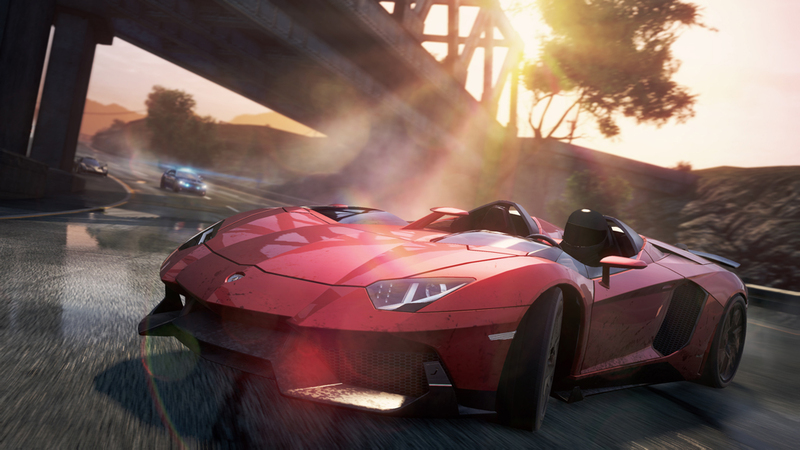 We'd love to hear from you which gaming challenges you think are the hardest and why. The comments section awaits! We have a new review for this Fourth of July weekend. Game & Wario released for the Wii U just over a week ago, and to celebrate Mario's plump rival, we have a retro review of Wario's GameCube platforming romp, Wario World. We Just Play In It. Ever since his debut on the Game Boy with Super Mario Land 2: 6 Golden Coins, Wario has been a favorite among many Nintendo enthusiasts. His gross behavior, such as mining for nose treasure, passing gas, and chomping on copious amounts of garlic cloves, is just one interesting facet of this lovable lug. 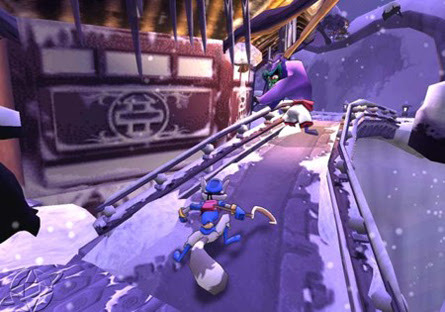 In 2003, Nintendo and Treasure gave Wario his own platforming game. Not content to have his own land anymore, Wario went and got himself a world to conquer with Wario World. After taking treasure from lands near and far, Wario has just finished construction on his colossal castle, where his round rump rests on his gold throne. 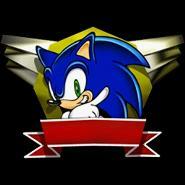 However, his greed has once again gotten the best of him. In his pilfering adventures he nabbed a black jewel. This black jewel awakens and begins taking Wario's treasure and turning it alive. 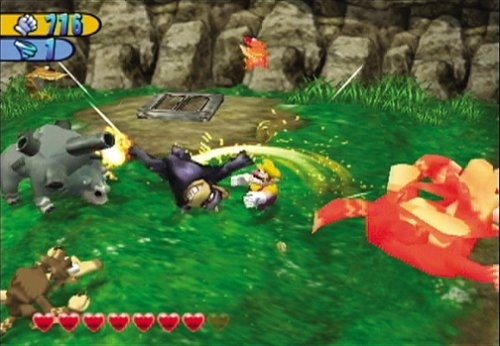 The entire castle is transformed and Wario is booted out. With garlic on his breath and a strong will, Wario decides to teach the black jewel a lesson by heading to four themed worlds to collect the key pieces needed to open the treasure where the jewel has taken up residence. Laugh it up while you can, Wario! 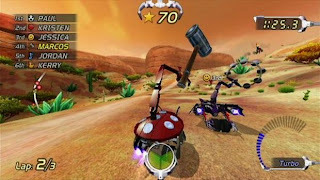 Wario World is a side-scrolling 3D platformer featuring four worlds of three levels each. 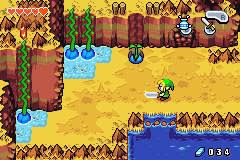 The first two levels are fully explorable, complete with treasure, hint-giving Spritelings, pieces of gold statue, and red diamonds to collect. 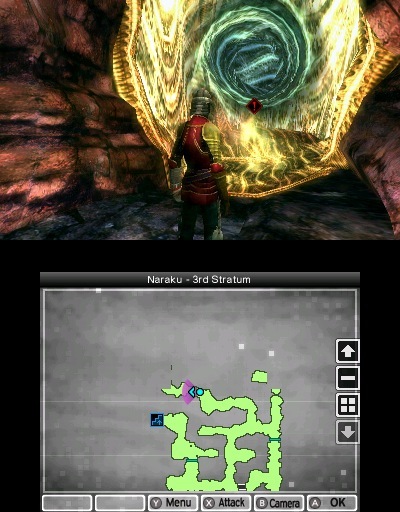 The latter is used to open the boss hatch at the end of each level. 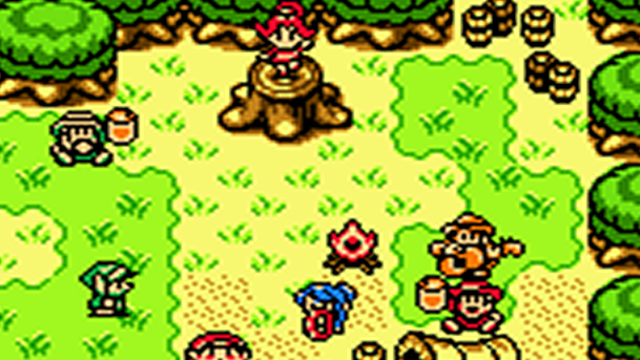 These red diamonds are located in trapdoors that must be found and ground pounded through either by Wario himself or with an enemy in hand for the steel trapdoors. The areas are either simple puzzle/platforming rooms or special platforming challenges that occur in another dimension. Unlike the main levels of the game, these special rooms and dimensions allow you to rotate the camera a full 360 degrees. The garlic-chomping Wario wants nothing more than to get his greedy mitts on anything and everything golden. There are eight treasures in every level, but before they can appear, buttons marked with a "W" must be hit to spawn them. A treasure will appear on the tile the same color as the button hit. In addition to treasure, there are multiple pieces of gold. 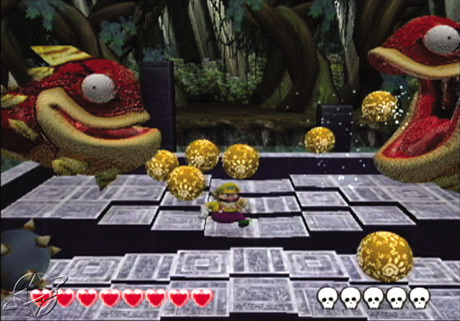 Not only do these create a stunning gold statue of Wario, impressive all to itself, but collecting them all in a given level bestows Wario with a boost to his health in the form of half of a heart. Enemies and boxes drop coins, and these are as valuable as the treasures Wario covets so much. You see, when Wario loses hearts from damage, he can go to a garlic-dispenser to pay for a clove of the helpful garnish. 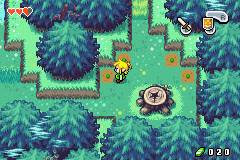 This will revive one heart, as long as Wario has got the coins. If Wario loses all of his health, you can opt to pay an amount of coins to avoid a game over. Otherwise... it's game over. 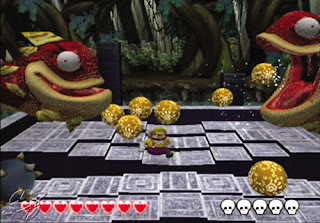 Wario can also lose coins by falling into a hole within a level, entering a lair of the Unithorn creatures. These purple heads will chomp at Wario, taking away his coins, as he scrambles to find the exit spring, hidden underneath one of many boxes. Even Wario's jaw drops at all those coins! Every level and world ends with a boss battle of some sort. These generally have Wario dodging the attacks of the boss or bosses in question and waiting for an opportunity to strike. For instance, one boss has Wario needing to run to its rear to leap onto its tail, which will then rise into the air over its backside, allowing Wario to perform a ground pound on its weak point. 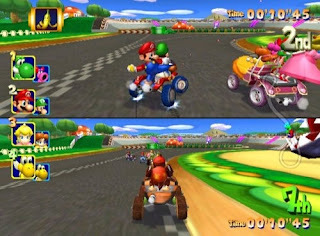 In normal levels, Wario is still a much more brute force kind of plumber than his rival Mario, and he assuredly shows it in Wario World. Wario talks with his fists, able to pummel foes into a dazed state. 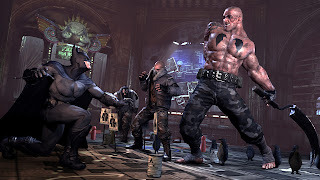 Then he can pick up an enemy and choose to chuck them, spin them around like crazy or pile drive their face into the ground. For a plumber so... plump, Wario can get around. 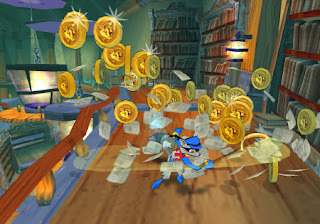 He can dash and jump to cross large chasms or to just make up a great distance across the fairly linear levels. Wario gives his brute strength a spin. 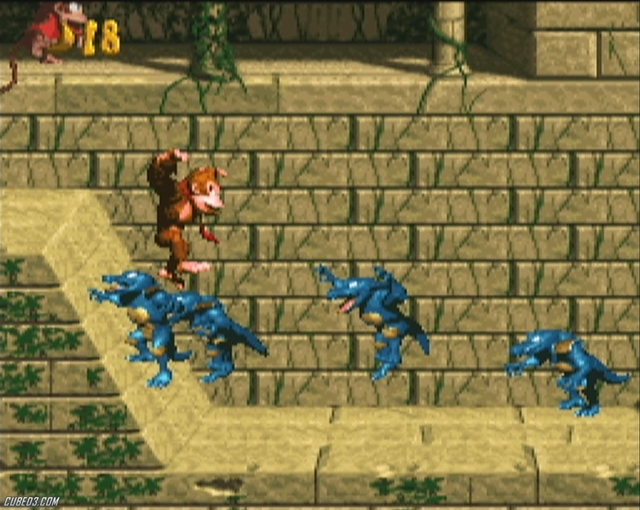 As for the levels, there are but eight in the game, not including boss levels. This might seem like a low number, but if you're trying to collect everything, they can take you upwards of an hour each to complete. 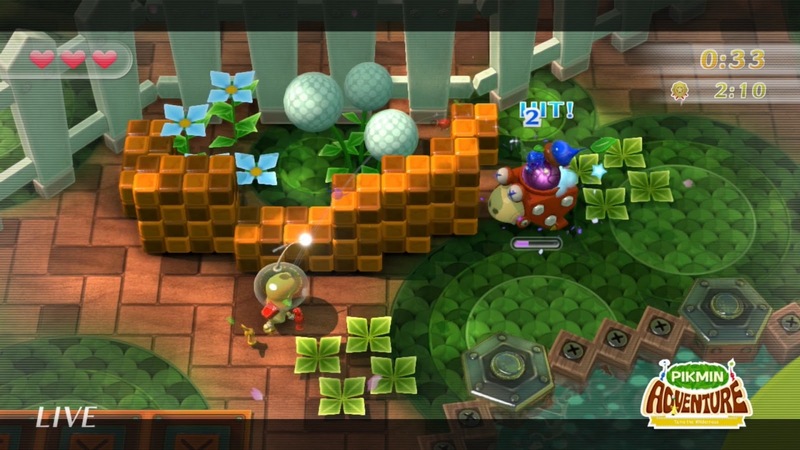 With no way to save during a level, I think the developer could have split up levels into more manageable bits. That way there would be more levels, there would be less getting burnt out on a particular level-- what, with being stuck in a level for almost an hour, and the player could save more often without worry of losing a good portion's worth of progress. 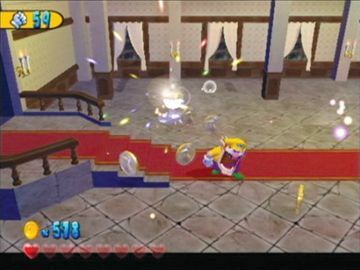 Another issue with Wario World is that the camera is always at a fixed position. 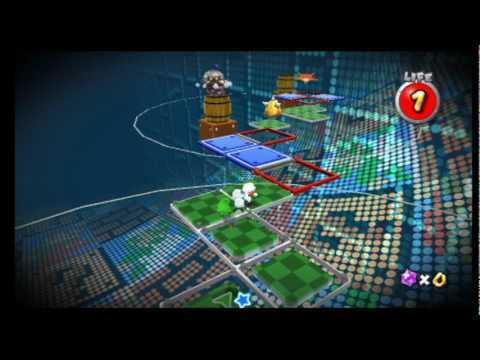 This makes some jumps near impossible to judge, causing Wario to fall down into Unithorn's Lair, or have to redo whole sections of level all over again. 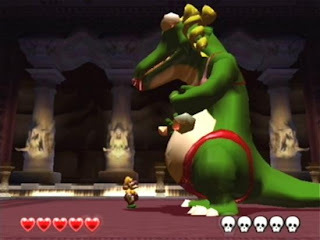 The camera's abhorrent behavior shines particularly true in some boss levels, where it tries to keep up with Wario but cannot, or it can't decide if it wants to spin around or not. Sloppy seconds? No thank you! Wario World looks rough around the edges graphically, but Wario's animations are absolutely top notch, especially his facial reactions. 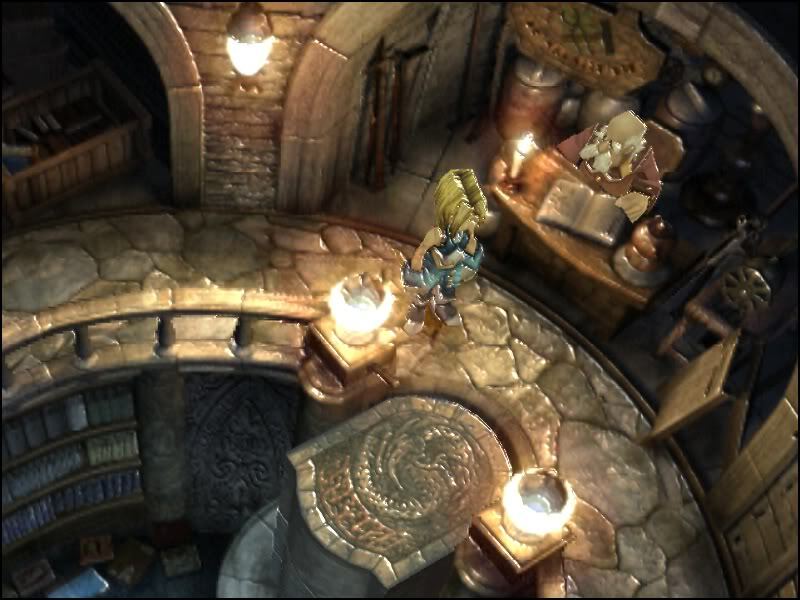 Lighting is quite good in levels, particularly special effects like lightning, and most level geometry comes across as competent in looks. Enemies might be the same archetypes each and every level for the most part, but they, too, look competent and occasionally foreboding. 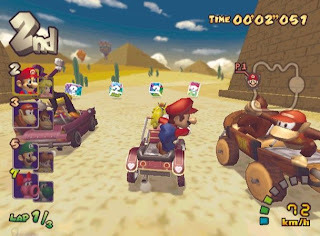 Unfortunately, Wario World doesn't run the greatest, with severe frame-rate chugging when a lot of enemies or moving environmental objects are on the screen at the same time. For the audiophiles out there, Wario World's music is a mix of truly catchy tracks and forgettable background noise. 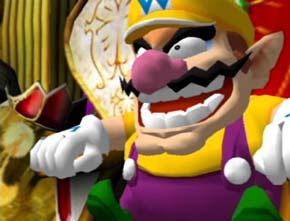 Hearing Wario's quips like "good luck" and "have a rotten day" seldom get old, even after the hundredth time. Wario World is far from a perfect game, and like his rival's GameCube platforming installment, it has a fair amount of issues that prevent it from being truly terrific. 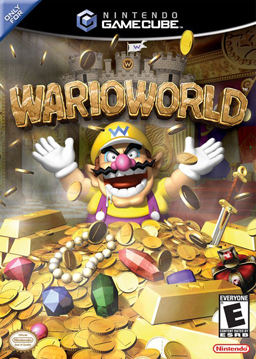 If you have that need for greed, Wario World is a title you can get for cheap and play through it for about 8-10 hours and then forget about it afterwards. Seeing how Wario World was developed by Treasure, the minds behind Gunstar Heroes and Ikaruga, it's disappointing to see how unspectacular Wario's GameCube debut really was. 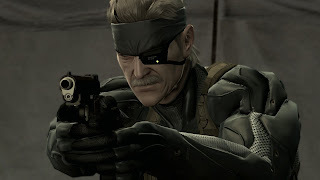 One of the nice things about being an independent game site is that we can do articles that the big boys would shudder to post on their sites. This editorial is one of those. For months now, EA executives and personnel have been making the PR rounds for interviews regarding their present situation and future releases. One system that will not be seeing any of the latter is the Wii U, something quite damning for Nintendo's desperately struggling system. However, one piece of information that EA always seem to mention regarding the system is the quality of their releases for the Wii U.
MCV: What needs to happen before you’re back on board with Wii U? Andrew Wilson: I build for a userbase. I made games on Facebook because I thought people were there that wanted to play them. Then it became apparent to me that either I had the wrong game or they weren’t there. We had a strong offering on Wii U at launch. The platform hasn’t had the take-up. Our games hasn’t had the take-up we’d have liked. So at this moment we are not focused there. Now they could do a range of things that might change that situation, and we’d never count them out. And should there be a sizeable gamer base there in the future, we would build games for Wii U. But for us it’s less about building for a platform, and more about building for a group of gamers on a platform where they are. And sports gamers weren’t there. 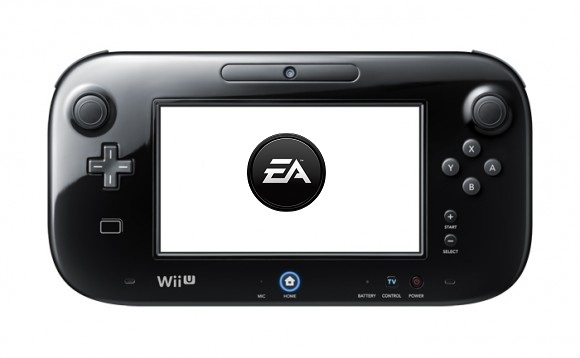 If you paid any attention to EA's initial support for the Wii U, then you might just need to sit back and nod your head to the following that we have to say on this matter. If not, then let us enlighten you. First of all, the idea that EA as a company had anything close to a "strong offering" is such a disingenuous lie. 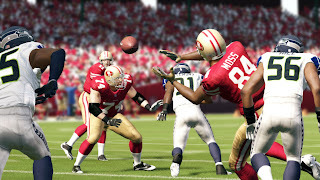 EA literally released Madden 12 and FIFA 12 with the only change being roster updates (and some thoughtless GamePad functionality) and labeled them as Madden 13 and FIFA 13, as those versions of the game used the game engine and features of last year's entries. Did we mention these releases were launched later than the competition AND they were released at full price? Nintendo console owners are many things, but stupid is not one of them. 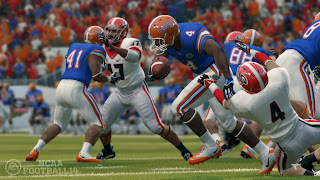 Saying that you put ANY effort in your EA Sports lineup for the Wii U is dishonest at best and duplicitous at worst. Then let's talk about Mass Effect 3, a game that was the third entry in a series Nintendo console owners had never seen before. Somehow this third entry was to supposed to light the sales charts on fire, because we all know how fun it is to jump into a series on its third installment! This is compounded by the fact that weeks before Mass Effect 3's release on the Wii U EA announced the Mass Effect Trilogy for PS3, Xbox 360 and PC. Both the Wii U version of Mass Effect 3 and Mass Effect Trilogy launched around the same price. If you had the choice, which would you get? The decision is easy: Mass Effect Trilogy. 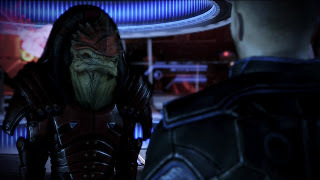 To say that EA essentially sabotaged the Wii U port of Mass Effect 3's sales isn't that much of a stretch. Of course, no business deliberately destroys the sales of one of their games, right? We have to chalk this down to the corporate heads there, apparently. Finally, there's EA's best effort on the Wii U, Need for Speed: Most Wanted. This was an example of a great effort. However, it was released originally in October of last year on most platforms. At the time of the Wii U port's release the other versions of the game were available for purchase for half the Wii U version's price. Unless you really needed the GamePad for Need for Speed: Most Wanted, the decision to get a cheaper version was a no-brainer. 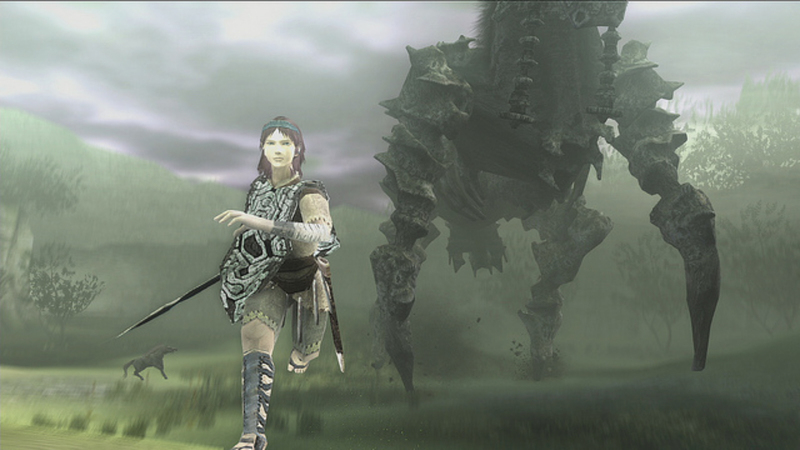 It made us feel horrible for Criterion because they actually did do a strong offering for the Wii U game. It simply was released far too late and priced too high. The fact that no one in the mainstream press has the fortitude to take the almighty EA to task on their deceitful tall tales regarding their Wii U support is astonishing to us. We're not saying the Wii U deserves EA's support, as it is up to Nintendo to get some interest for their console, which they have been doing absolutely terribly (though you can bet if the PS4 and Xbox One start off sluggishly, EA will support them regardless). What we're saying is that EA is blatantly lying about how well their Wii U support was, and it was nothing short of a self-fulfilling prophecy (there's that term again) as to why their "strong offering" of support was not met with high sales. 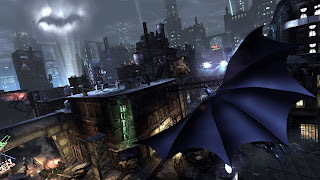 Early adopters are usually the most "with it" with regards to game quality and releases. The fact that EA thought early adopters of the Wii U would happily lap up the weak content the publisher offered them should say it all about what the company thinks of the system and its users. They were perfectly happy to basically con Wii U owners out of their hard-earned money with low-effort releases. Hardly what anyone would call a "strong offering." You generally get out what you put into something, and EA put hardly anything into the Wii U and deservedly got little for their "effort." This Thursday the United States will be celebrating its birthday with the Fourth of July. SuperPhillip Central has fireworks of its own with SPC's Favorite VGMs, a weekly segment showcasing our favorite video game themes. 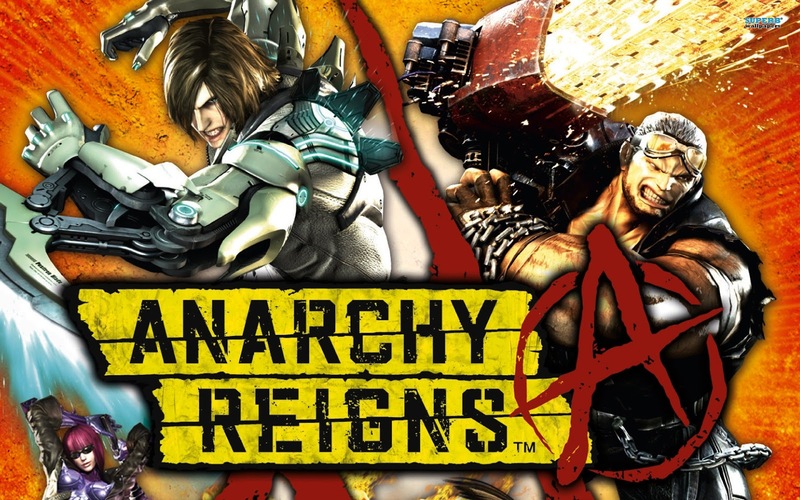 This week we have music from Anarchy Reigns, Donkey Kong Country Returns, and Phantasy Star Online. After listening to this week's picks, come stop by our VGM Database. Anarchy Reigns, or as it's known in PAL territories as Max Anarchy, has a soundtrack that is quite eclectic, featuring mostly electronica and rap. 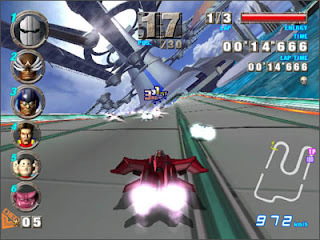 Fast Lane is part of the former category, and it is without a doubt our favorite song from the game. Rushden & Diamonds are the force behind Fast Lane. 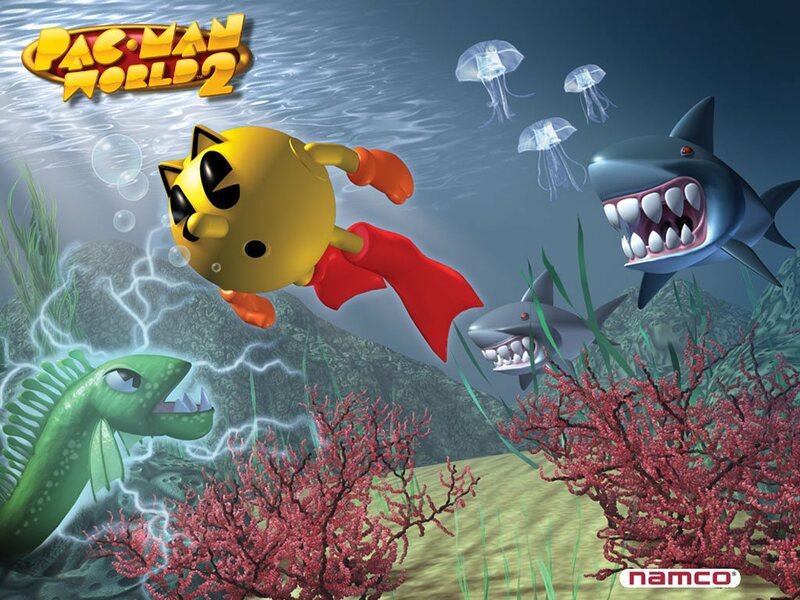 Although not a very good game, Pac-Man World 2 featured a fun soundtrack with lots of happy-go-lucky tunes. B-Doing Woods has a song fitting of its many canopies-- a jungle rhythm, brass, and xylophones go hand in hand to create this marvelous and melodious piece of music. Played in the levels where Donkey Kong and Diddy Kong are mere silhouettes, Palm Tree Groove starts out eerie, but it soon gets a driving jazzy rhythm to it when the piano leaps in. 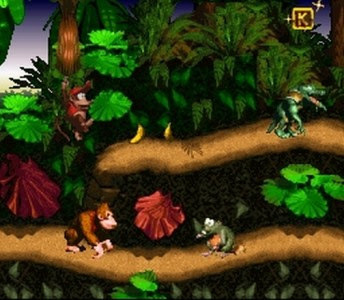 What is then heard is the Jungle Groove theme from the Super Nintendo's Donkey Kong Country. 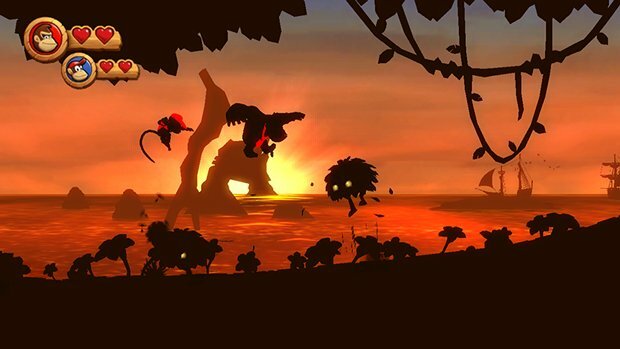 Throw in a lively interlude, and you have a great track from Donkey Kong Country Returns. There were actually two bosses in the third area of the original Phantasy Star Online. This theme, You Have Nowhere to Go, plays during the latter battle, and is a take of the first boss theme. 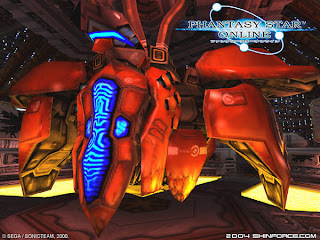 We absolutely love the orchestral score that Phantasy Star Online comes packing with, and this tense track made our heart race when we originally faced the creature the theme accompanies. 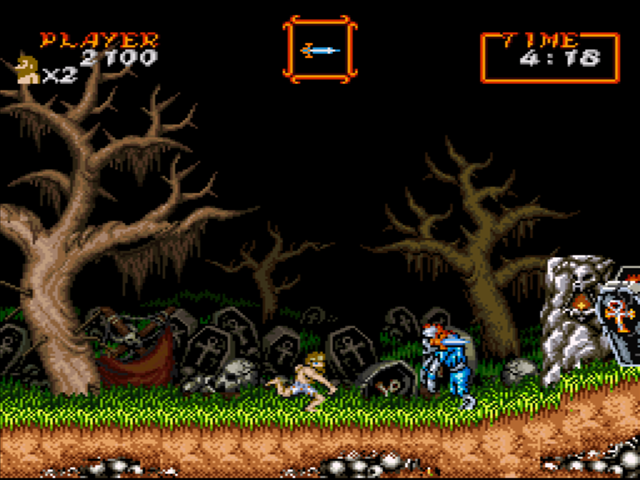 A classic piece of video game music, this is the Ghost 'n' Goblins theme in Super form! 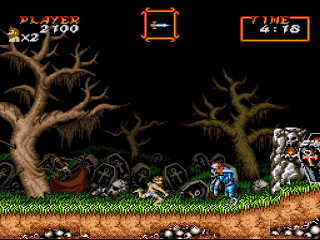 The Ghost 'n' Goblins games are known for their brutal difficulty, and many controllers will be tossed down in disgust after failing that one level for the hundredth time. Here's hoping Capcom returns to this much loved series. We've officially reached the summer doldrums when it comes to video game releases. The important titles start pouring in next month, but this month we're left with just a handful of intriguing games to keep an eye out for. At least you can play through that backlog of yours if nothing here tickles your fancy. What will you be buying this month? As per usual, these dates are subject to change and they are North American dates only. A collection jam-packed with games from the much heralded Metal Gear Solid franchise, Metal Gear Solid: The Legacy Collection is a PS3 exclusive containing the original Metal Gear Solid, the HD versions of Metal Gear Solid 2, Metal Gear Solid 3 and Peace Walker, VR Missions, and the trophy edition of Metal Gear Solid 4. It's a MGS fan's wildest dream, and it can be yours in just over a week's time. 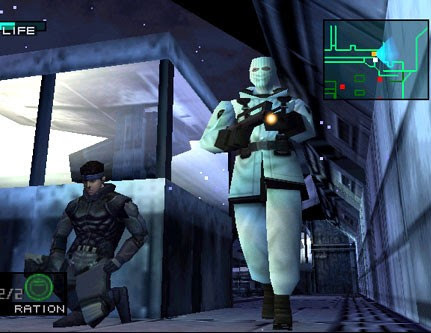 Stealth and gun your way through the Metal Gear Solid mythos all summer long and on. 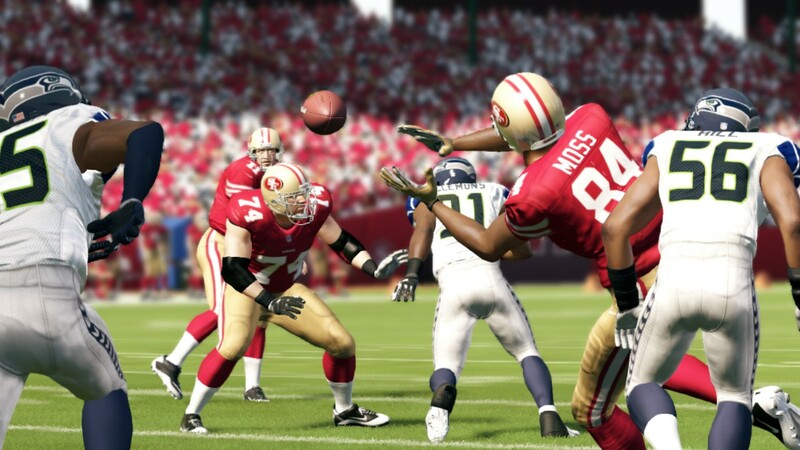 With another year, comes another line of sports games. If you're like us, you couldn't give two craps about college sports. If you're not, then you probably get a kick (or is it a punt?) out of the NCAA Football franchise, and EA Tiburon has finished up work on the game for 2014. Former Michigan quarterback Denard Robinson headlines as the cover athlete for the game, and thankfully he need not worry about a curse like a Madden cover athlete. 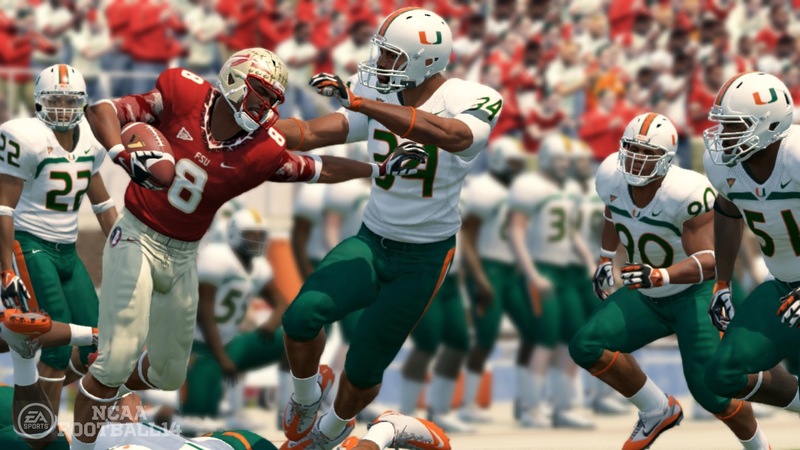 Regardless, NCAA Football 14 will most likely satisfy football fans of the collegiate variety. 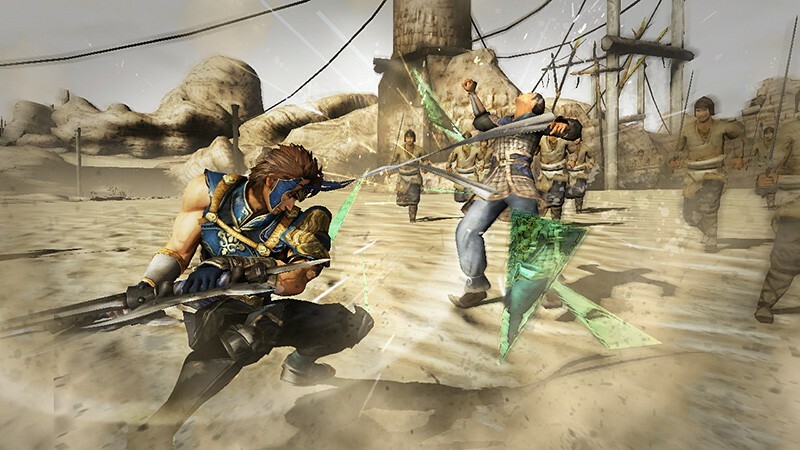 Musou fans never get tired of hacking and slashing through wave after wave of enemies. 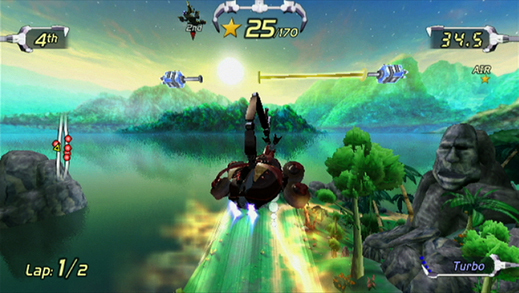 With this era of consoles, hundreds of shogun warriors are able to appear on screen at the same time. 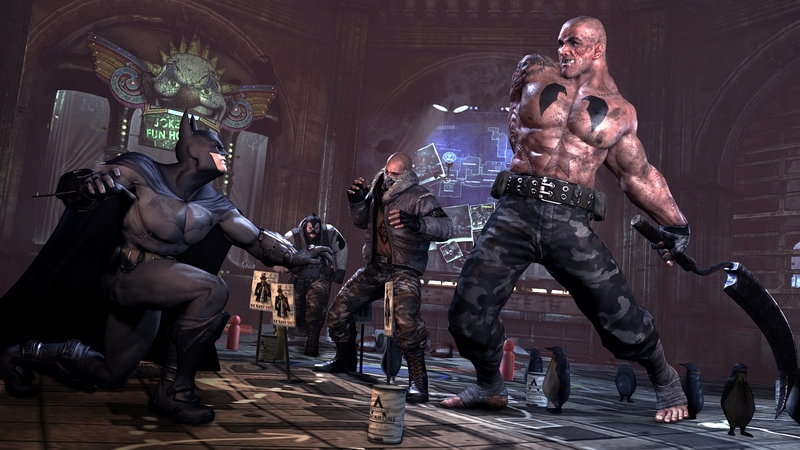 All the more fresh meat to slice and dice. Using the engine of Dynasty Warriors 7, the sequel contains over 75 unique characters to play as, a storyline that is based off factions, and there's even non-canon missions where you can choose the direction of the story rather than going through a path already determined by the game. Dynasty Warriors 8 might be seen as more of the same, but Musou fans wouldn't have it any other way. The Shin Megami Tensei series has a cult following over here in North America, and the fourth mainline game in the series is set to hit the Nintendo 3DS mid-month. Putting players in the role of a samurai, their objective is to stop another samurai from passing out books that turn readers into monstrous demons. Shin Megami Tensei IV is the first game in the series to feature full voice acting, and comes with enough accessibility for beginners to enjoy. No worries, series veterans, as the game also offers a challenging experience for you as well. Ladies and gentlemen... start your engines. 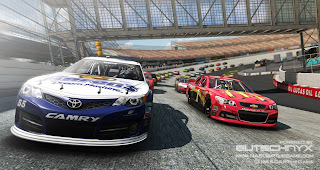 Or at least get ready to, as NASCAR: The Game 2013 is nearing its July 24 release date. 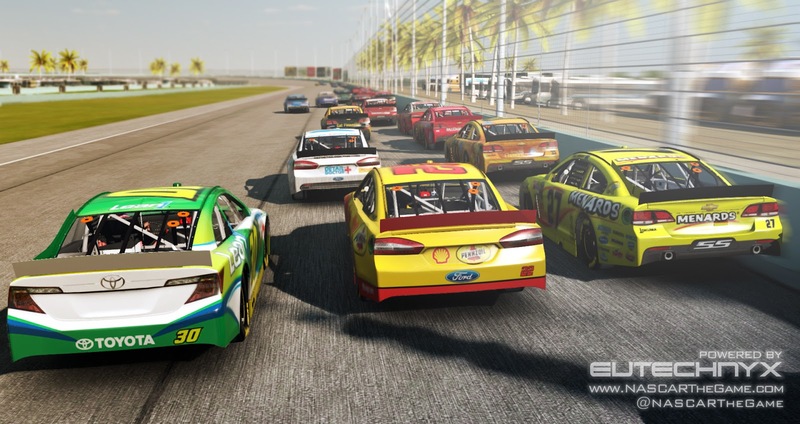 Complete with the 2013 roster of NASCAR racers, a paint tool for customizing their own race cars, and a season mode where you start out as a rookie and race your way to the top of the Sprint Cup Series Champion, there are plenty of left turns to be had in NASCAR: The Game 2013. When taking on the AI gets to be a bit too much, you can hop online against friends and total strangers. On your mark, get set, buy-- when NASCAR: The Game 2013 releases late this month.